Whether you're embarking on a great adventure to new lands, spending cherished time with your loved ones in a favourite spot or simply putting the wind back in your sails, a Lunar motorhome provides the perfect backdrop for memories you'll cherish for a lifetime. That's why Lunar put your holiday at the heart of everything they do. They have spent 45 years crafting caravans and motor homes that will take you to truly special places. 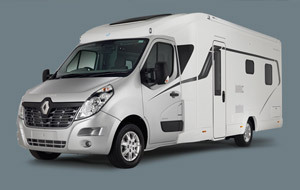 The Roadstar is built on the Renault Master chassis and has been designed in four popular spacious layouts. Each model has a lounge area that is styled to provide a very contemporary and sophisticated feel. The grey and aubergine tones of the 'Erin Pewter' soft furnishings are complemented by the locker doors in 'Timeo Pine' with 'Mussel' and the large array of LED lighting. Cook up a masterpiece in a fully equipped kitchen with an Aspire 2 cooker with four burner hob, a Dometic cooker hood and a luxury 'grey slate' effect worktop. The washroom has a modern feel with a top mounted sink with swivel tap, a vanity unit with ambient lighting and a large fully lined shower cubicle with a stylish black floor. The Cassini has been designed to deliver effortless motoring, even on long journeys. The driver's cab includes Bluetooth telephone system, an MP3 and USB port, multifunctional steering wheel and daytime running lights. Plus with the optional drivers pack you can add air conditioning, a cruise control/speed limiter, Satellite Navigation and a DAB radio. Inside, all models feature stylish soft furnishings in 'Aldira' with contemporary locker doors in 'Brushed Oak'. 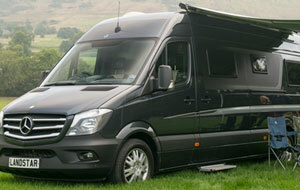 The living area offers a large panoramic sunroof extending from the cab plus a Heki roof light. The kitchen comes complete with a 120l Dometic fridge, 3 burner hob, Combi Oven, 20l microwave and a smart stainless steel sink with domestic style tap. Plus there is a contemporary designed splash back and work surfaces in 'Crystal' laminate. 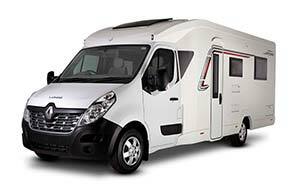 The exterior boasts both stylish design and technological innovation with the inclusion of an electric sliding door, Thule roll out canopy awning and roof-mounted solar panel. Take to the wheel and experience the precision engineered power of a 316 CDI Mercedes Benz Sprinter engine. The S Edition also features Tempmatic air conditioning, Parktronic parking sensors (front & rear), electric heated & adjustable mirrors and an outside temperature gauge as standard. Thoughtfully crafted to the finest detail, the S Edition interior brings style and extravagance together seamlessly. The Aqua Clean, easy-clean soft furnishings combine warm leather-trimmed browns with sumptuous creams. Other luxuries include an Avtex HD-TV/DVD system, chrome finish sockets, 4 burner hob with 3 gas and 1 electric plate, separate oven and grill and a cooking hob extractor fan.